Apple hit the total by adding 32 more entries to its roster, the new ones consisting of mostly of smaller regional institutions. Technically the company only has 998 banks and credit unions, but other issuers include retailers BJ's Wholesale Club and Kohl's. 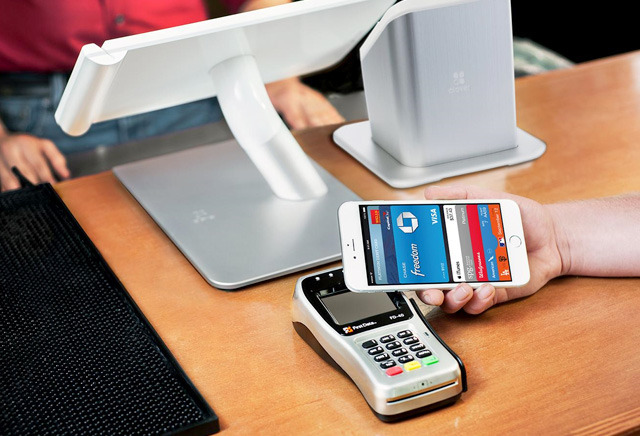 Apple Pay is usable at over 2 million locations, but to date, the number of supporting U.S. retail chains is still a fraction of the number of issuers. The situation should improve somewhat in 2016, thanks to the addition of merchants like Au Bon Pain, Crate & Barrel, Chick-fil-A, JCPenney, Starbucks, and KFC. The platform is also due to expand further overseas, for instance coming to countries like China and Spain, though in some cases it will only be through American Express.